A lovely home you need to see! Recently rehabbed, this home is sure to please with its hardwood flooring, high ceilings and large window for ample natural light. The home invites all with its open living and dining room plan, and leads naturally into the updated kitchen, complete with tile flooring, stainless steel appliances and tiled backsplash. Upstairs reveals spacious, light filled bedrooms with ample closet space, and a fabulous hall bath with tile flooring and a custom tiled tub and shower. For those who still need space, the full basement is sure to fulfill all your storage needs. 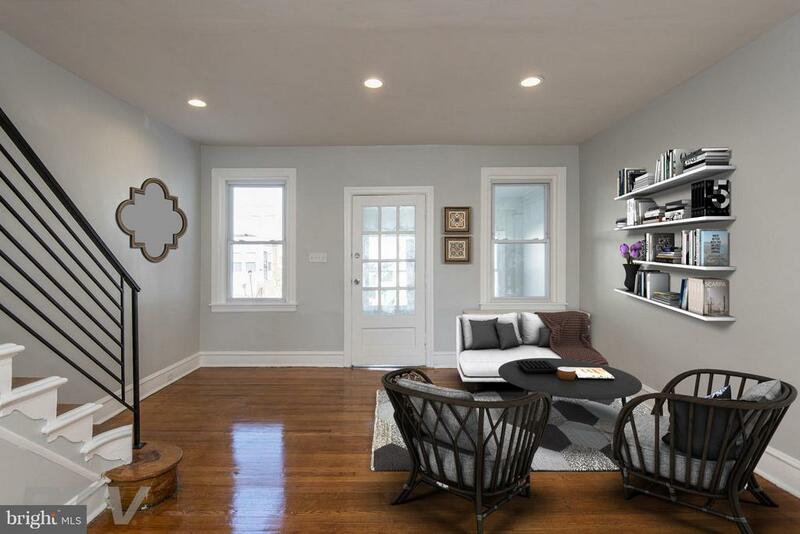 Found on a lovely street in Overbrook, the home is mere blocks away from several parks, public transportation and more. What are you waiting for? See this home today! Please note, check OPA for 2019 taxes due to possible citywide reassessment.